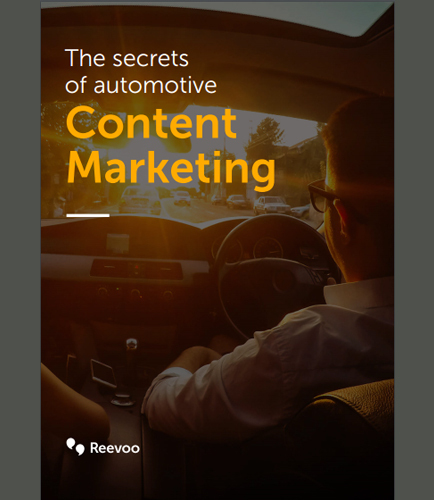 "Automotive Industry: Secrets of Automotive Content Marketing With UGC"
The Secrets of Automotive Content Marketing:This whitepaper has combined consumer research and opinion of automotive industry experts to explain them . It guides automotive marketers in marketing their brand with User-Generated Content (UGC). The car buying journey is a path, not a one-time decision. As a result, delivering certain types of UGC at specific moments can be far more effective than firing everything you’ve got all at once. It’s all about understanding your customers and how their needs change during the decision-making process. Why should the automotive industry embrace content marketing? How can automotive content marketing help your dealership dominant the market? How is user generated content marketing affecting automotive industry ? Why should you run user-generated content campaigns and how to launch the most effective UGC campaigns for automotive industry organizations? What are the ways to encourage user-generated content and how to market your automotive brand with it? ​To help answer these questions, this whitepaper contains some of the ways automotive industry experts have used UGC to enhance their online content marketing efforts, and some tips on how your brand can follow their lead.